has reiterated its commitment to building young entrepreneurs who would become key drivers of the economic diversification in the state. 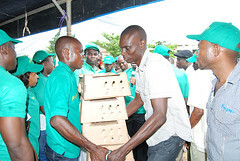 Governor Okowa stated this at the three day Orientation and Personal Effectiveness Training (OPET) for 745 trainees engaged in the 2017/2018 cycle of its Skills Training and Entrepreneurship Programme (STEP) and the Youth Agricultural Entrepreneurs Programme (YAGEP) taking place at Songhai Delta, Amukpe in Sapele Local Government Area. Congratulating the trainees who are of the third cycle since the inauguration of the programme, Governor Okowa said it is his vision to make Delta youths self-employed and engaged in sustainable ventures. “This is an opportunity that you should not treat casually. 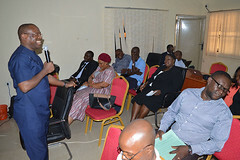 It is packaged for Delta youths; you are at the centre right from the planning and implementation in line with best practices,” he remarked. 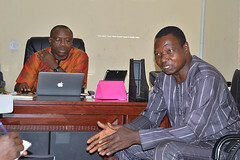 While stating that the third cycle underscores the commitment of the state government to ensure that the programme is sustained, he disclosed that the state government is in partnership with the World Bank through the State Employment and Expenditure for Result Projects (SEEFOR). He added that the OPET is the first phase of the training, listing the job creation programmes to include the Skills Training and Entrepreneurship Programme (STEP), the Youth Agricultural Entrepreneurs Programme (YAGEP) and the Graduate Employment Enhancement Programme (GEEP). 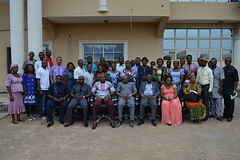 The governor represented by the Chief Job Creation Officer, Prof. Eric Eboh, disclosed that the trainees after the OPET in Songhai Delta would be posted to various training centres across the state for three to six months training, after which they would receive Entrepreneurship and Business Management Training (EBMT) before establishment with starter packs. He added that they are to resume training at such centres on the 1st of March, 2018. While advising them to take their training seriously, he said his vision is that they grow to become great entrepreneurs, leaders and managers. “Your success is our success. 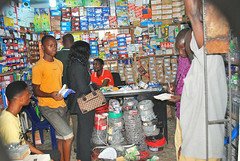 The success of this administration is measured by your success,” he pointed out. 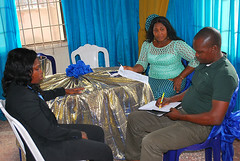 Responding differently, Oghenetoni Edaghware in Fishery (Ughelli South LGA) and Henrietta Onah in Fashion Design & Tailoring (Ukwuani LGA) thanked the state government for the opportunity given to them to be trained to become self-employed and job creators. They promised to be focused and committed to the vision of the governor of nurturing them into great entrepreneurs, leaders and business managers.